Something More is Victoria’s premiere fashion boutique for full-figured women. 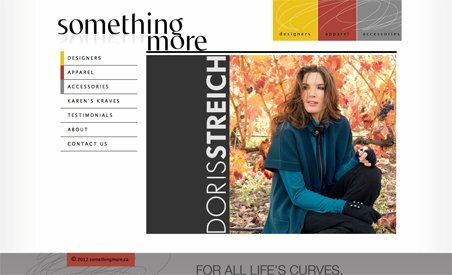 Since 1980, they’ve celebrated curves by offering high-quality, fashion-forward clothing for business, leisure and special occasions. Their dedicated team of stylists is always on hand to help you with the perfect fit, and will ensure you leave looking smart, stylish and sophisticated.